Oliver practices in all areas of tax law. In addition to an all encompassing advisory practice, he has a busy litigation practice, regularly representing taxpayers, HMRC and the National Crime Agency in the tax tribunals and appellate courts. He is also regularly instructed in tax professional negligence cases by both claimants and defendants. Oliver is qualified to accept Public Access instructions. Tower Radio Ltd v HMRC  (First-tier Tribunal), acting for taxpayer (led by Giles Goodfellow QC), relating to tax avoidance scheme. Robert Smith v HMRC  (First-tier Tribunal), acting for HMRC, relating to validity of discovery assessment. HMRC v Tim Healy  UKUT 337 (TCC) (wholly and exclusively rule). Dong v NCA  UKFTT 369 (TC) (whether withdrawal of right of appeal ultra vires). Grenane Properties Ltd v HMRC  UKFTT 192, acting for taxpayer in successful appeal of £650,000 VAT assessment relating to option to tax property. Portable Multimedia Ltd v HMRC  UKFTT 725 (TC) (First-tier Tribunal), acting for HMRC in customs duty classification matter. Finger Foods Limited v HMRC  (First-tier Tribunal), acting for HMRC in relation to a VAT onward supply relief matter. Bratt Auto Contracts Ltd v HMRC  UKFTT 676 (TC) (validity of VAT repayment claim). UAB Barela v HMRC  UKFTT 547 (TC) (excise duty, restoration of trailer). Fisher v HMRC  UKFTT 813 (TC) (interaction of section 739 ICTA and EU law led by David Ewart QC). Acted on a large number of cases involving alleged tax negligence (all settled) for both claimants and defendants. 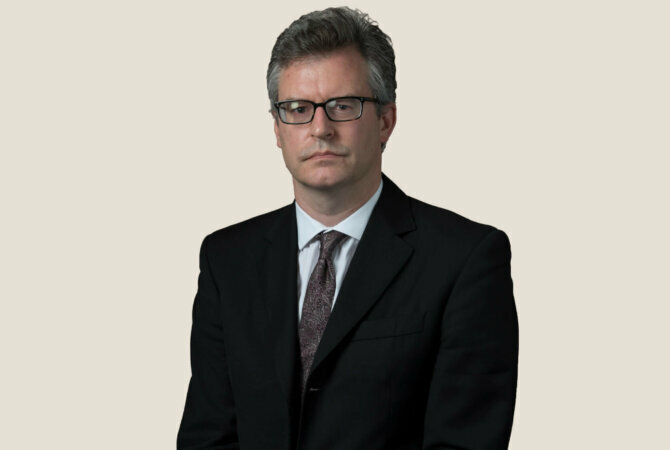 Quale v Rothman Pantall  EWHC 1474 (Ch) (led by Philip Jones QC) (amendment of pleadings). “Mehjoo v Harben Barker and the duty to refer”, Journal of Professional Negligence (2013) 29(4), 223-232.